The minoan empire was weekend in the 1450s, presumably by an earthquake or other natural disaster. The Myceneans started to take control over the Minoan islands and adapted to much of the Minoan culture, even making a form of writing called Linear B. A war between the greeks and the people of troy because Paris of Troy took Helen from her husband Melanus. It ended when the greeks tricked the trojans with a wooden horse that opened up at night and released greek soldiers. The greeks won. Sparta wanted the rich fertile plpains of Messenia but the Messenians didn't want to give it up. The persians launched an attack on greece, it was led by Darius I, he though he outnumbered the greeks but they were fought off. 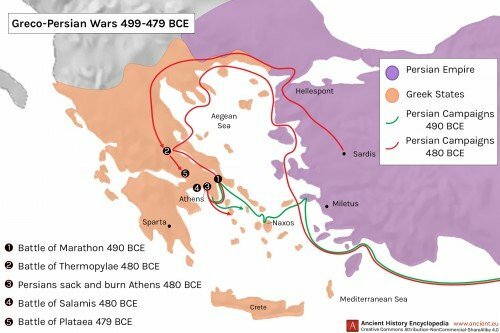 Athens and Sparta fought. Sparta won and Athens was left bankrupt. 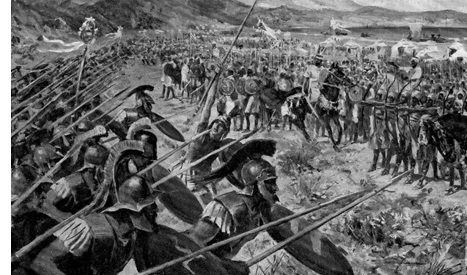 The second persian war was attacked by Darius's son King Xerxes. This time it was fought on land and in the water. 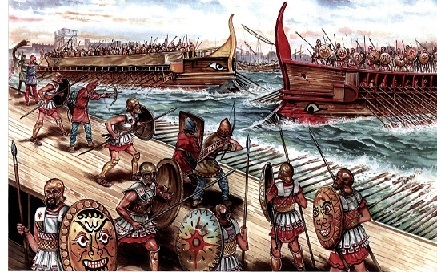 In the water the persian lost to the athenians but on land they won against the spartans. Alexander the Great was a king at age 20, he conquered many cities and places but was killed at age 33.